Genetic data can be combined with ecological data to study the demographic history of a species, identify landscape features that influence migration patterns, and guide conservation efforts. Perrier’s sifaka (Propithecus perrieri) is a Critically Endangered, rare, and elusive social lemur living in a very restricted, fragmented landscape. To assess the effect of habitat loss and fragmentation on the genetic diversity of the Perrier’s sifaka population we examined 24 microsatellite markers genotyped for 67 samples corresponding to 42 individuals. Perrier’s sifaka shows a low current effective population size (ca. 52–105) and a strong heterozygosity excess, suggesting a historically large but dwindling population. Moreover, we identified a pattern of isolation by distance, typical of continuous habitat, suggesting that sifakas were still able to cross the grasslands between forest fragments in the recent past. Our study calls for a unified conservation plan covering the two protected areas where the species is still present, if not the whole area of its past distribution. Further studies inferring the past demographic history of Perrier’s sifaka may confirm the population decline and shed light on its potential causes. The online version of this article (doi: 10.1007/s10764-015-9881-x) contains supplementary material, which is available to authorized users. We thank CAFF/CORE, the Direction Générale de l’Environnement et des Forêts, Madagascar National Park, the Fanamby NGO (in particular S. Rajaobelina V. Rasoloarison, P. Ranirison, and S. Wohlhauser), the Direction Régionale de l’Environnement et des Forêts région DIANA, and M. Banks for discussion and advices on Perrier’s sifaka. The field work was possible thanks to the continuous support of the Département de Biologie Animale et Ecologie, University of Mahajanga; the University of Antsiranana; and to a large extent, thanks to the participation of many great local guides and cooks whom we warmly thank for their help in the field and for sharing their incomparable expertise of the forest, Misaotra anareo jiaby. 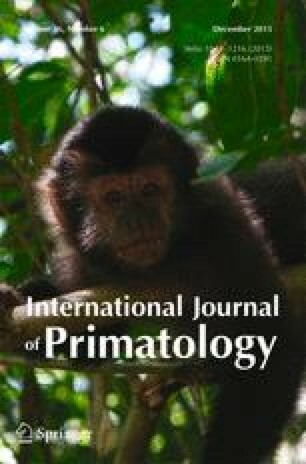 Finally we thank the Genomics Unit at the IGC, Sequencing Service, for their collaboration and L. Wilmé, R. Heller, E. Quéméré, and I. Carvalho for comments and discussion on the manuscript, Joanna Setchell and the editors of Biological Conservation and American Journal of Primatology as well as several anonymous reviewers who substantially helped improving the manuscript. Financial support for this study was provided by the Fundação para a Ciência e a Tecnologia (PTDC/BIA-BEC/100176/2008, PTDC/BIA-BIC/4476/2012, and SFRH/BD/64875/2009); the GDRI Madagascar; the Laboratoire d’Excellence (LABEX) entitled TULIP (ANR-10-LABX-41); the Rufford Small Grant Foundation, grant 10941-1; and the Instituto Gulbenkian de Ciência. C. Kun-Rodrigues and H. Teixeira were funded by an Optimus!Alive-IGC fellowship. This study was conducted in agreement with the laws of the countries of Portugal, France, and Madagascar. Carret, J.-C. (2013). Madagascar - Country Environmental Analysis (CEA): Taking stock and moving forward (No. 77993, pp. 1–164). The World Bank. http://documents.worldbank.org/curated/en/2013/05/17759163/madagascar-country-environmental-analysis-cea-taking-stock-moving-forward. Accessed 7 Nov 2014. Godfrey, L. R., Jungers, W. L., Simons, E. L., Chatrath, P. S., & Rakotosamimanana, B. (1996). Past and present distributions of lemurs in Madagascar. In New directions in lemur studies (pp. 19–53). New York: Springer-Verlag. 10.1007/978-1-4615-4705-1_2 Accessed 26 March 2015. Humbert, H., Darne, G. C., & Besairie, H. (1965). Notice de la carte Madagascar. Institut Français de Pondichéry. http://library.wur.nl/WebQuery/clc/1939325. Accessed 6 Nov 2014. IUCN (2014). 2014 IUCN Red List of threatened species, version 2014.2. http://www.iucnredlist.org/. Accessed 26 Nov 2015. Minten, B., Randrianarisoa, J.-C., Randrianarison, L., & Food, C. (2003). Agriculture, pauvreté rurale et politiques économiques à Madagascar. Cornell Food and Nutrition Policy Program. http://www.hayzara.org/index.php/eng/content/download/496/4084/version/2/file/2003+-+Agriculture+pauvret%C3%A9+rurale+et+Politiques+Economiques+a+Madagascar.pdf Accessed 7 Nov 2014. Moat, J., & Smith, P. (2007). Atlas of the vegetation of Madagascar/ Vegetation/atlas de la vegetation de Madagascar (Royal Botanic Gardens Kew). Kew Publishing. http://tna.europarchive.org/20080612120511/http://kew.org/publications/vegatlas_ai.doc. Accessed 25 Nov 2013. ONE (2013). Evolution de la couverture de forêts naturelles à Madagascar (2005- 2010). Antananarivo: Office National pour l’Environnement. www.pnae.mg/index.php/Autres/evolution-de-la-couverture-de-forets-naturelles-a-madagascar-2005-2010.html. Accessed 26 Nov 2015. R CoreTeam. (2014). R: A language and environment for statistical computing. http://www.R-project.org. Accessed 18 Nov 2014. Salmona, J. (2014). Conservation, distribution and population size update of endangered nocturnal lemur species from Northern Madagascar, Rufford Small Grant final report. Rufford Small Grant Final Report No. 1 (p. 21). https://www.researchgate.net/profile/Jordi_Salmona/publication/262334029_Conservation_distribution_and_population_size_update_of_endangered_nocturnal_lemur_species_from_Northern_Madagascar_Rufford_Small_Grant_final_report/links/0c9605374f966d7a1a000000.pdf. Accessed 26 Nov 2015.